The courses, events, and other items below have been carefully selected for their quality. They are designed to help you create a happier, healthier life for yourself. Some have been created in-house; others were created by qualified third party providers. They are based on Eastern wisdom and other similar philosophies. Enjoy them in good health—body, mind, and soul! De-stress Your Life Permanently (while accomplishing more) Through this 8-module course, you will completely rewire your response to the stressors in your life. You will learn how to stop stress before it starts by understanding what causes the unique stress that manifests in your life. Only when you know the cause can you create the cure. This program is different from others because the cures you uncover will be tailored to you. The course was developed by Jan Tucker, publisher of Perfect Inner Peace magazine. Jan is a devotee of Paramahansa Yogananda. Take a Yoga Journey This month-long journey within, known as The White Lotus Way in 5 Minutes a Day will introduce you, through yoga instructions, meditation, affirmations and concepts to basic yoga. It was developed by Jan Tucker, publisher of Perfect Inner Peace magazine. Jan is a devotee of Paramahansa Yogananda. 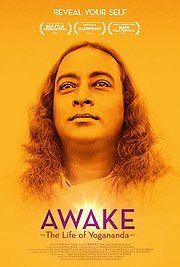 Awake—The Life of Yogananda: This well-received documentary, introduced to theater-goers in 2014, is a biography of Paramahansa Yogananda, a preeminent guru and teacher of Kriya yoga whose God-given mission was to unite the East and the West through his spiritual teachings. Read a summary of the film here.